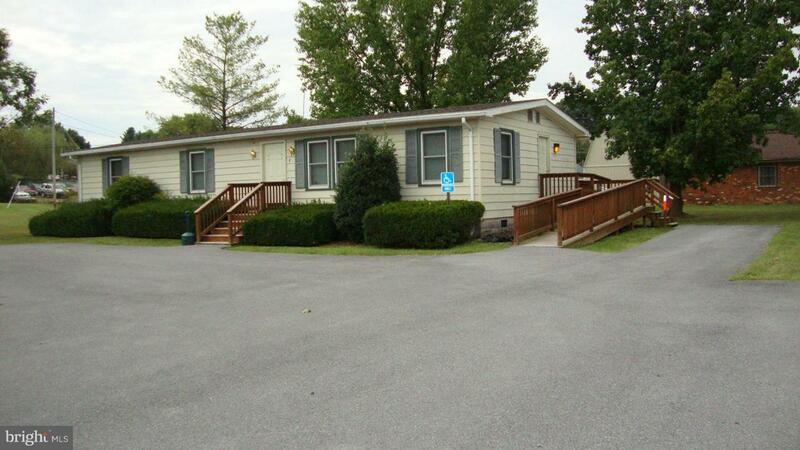 4 Canaan Street, LURAY, VA 22835 (#1000137737) :: Eng Garcia Grant & Co.
HOME/OFFICE/Zoned B1: 3 BR 2 BA Ranch on 0.78 acre lot just off Main St. Front door entrance to reception/waiting Rm w/ glass window separating it from office. Can enter via handicapped accessible ramp through side door. Back section has kitchenette, another office, full hall BA, washer/dryer hook-ups & 2 exam Rms (one has full BA w/ double sinks). Plenty of paved parking-5000 SF/tax records!